The mysterious one man operation Leper Print continues to evolve farther and farther from the original OMB formula perpetuated by Hasil Adkins, and with the release of their debut 7" EP on Eat Records this month, their penetrating tunes of life's dead ends are a rotten trip you won't wanna miss out on. Kyle from the Artificial Limbs takes over all the controls here as Leper Print, who have encapsulated the synth-punk sound as perfectly as anyone, and the Doppelganger 7" lends an earthier tone to the mess by incorporating real drums, serrated guitars, and absonant vocals that don't tear your eyelids off per se, but still cause traumatic stress levels to rise as the rhythms escalate on each side. More akin to early Destruction Unit than the Lost Sounds, Leper Print keeps it simple and direct, and straddles the line between too much and just right in it's electric emissions of negative space that quickly encapsulate your shattered little world. 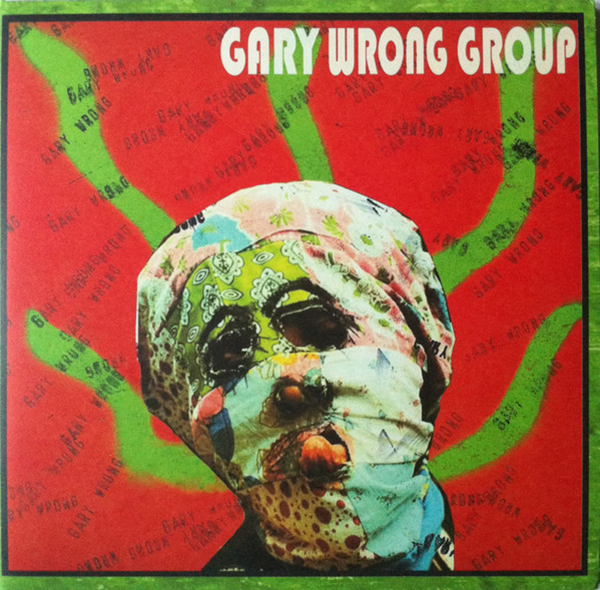 Great songs that throb and twitch like these deserve to be more widely available, so Eat Records' pressing of 200 copies will undoubtedly go quick, which means you'd best get on this before it slips away. Check out a few songs HERE (including "Shaving With Two Razors" off the Doppelganger EP), and yes that is a Spits cover of "Black And Blue" due out sometime soon for a tribute album. 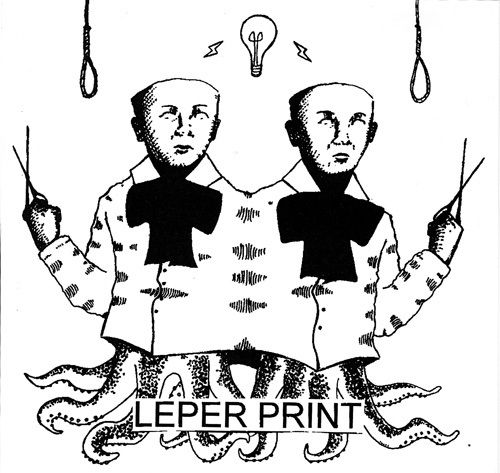 Pick up the Leper Print 7" direct via Eat Records, or try Florida's Dying mailorder as well.